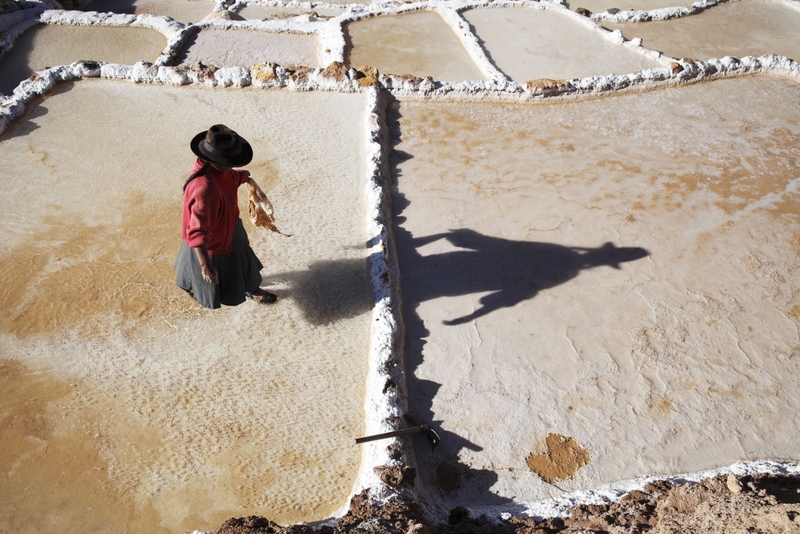 A salt maker wals across a terrace on the Inca made Salinas de Maras in Peru. 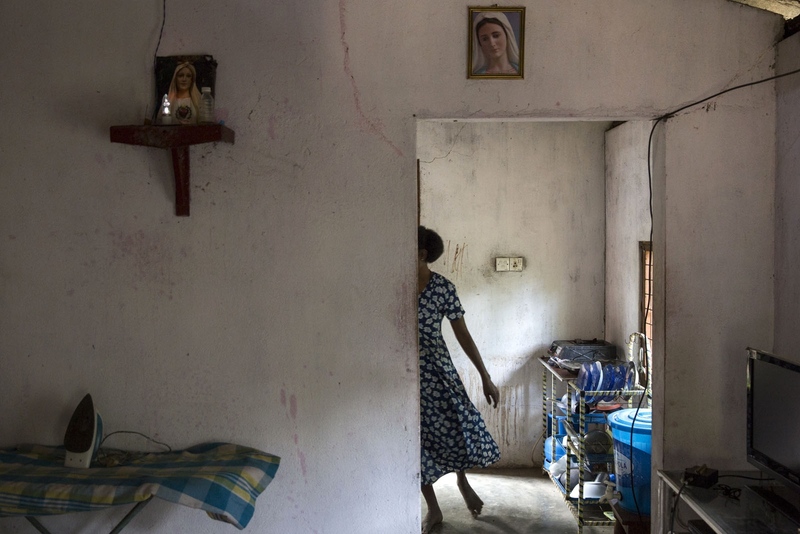 Maria Jasintha, 45, cooks in the kitchen of her house in Sirambadiya village. 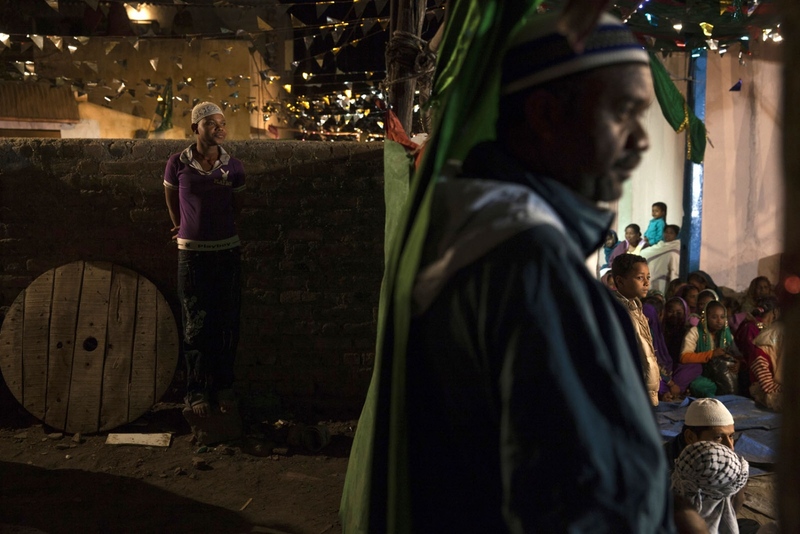 A young Sidi boy stands watching the annual celebration called Urs worshipping the Sufi saint Bava Gor. 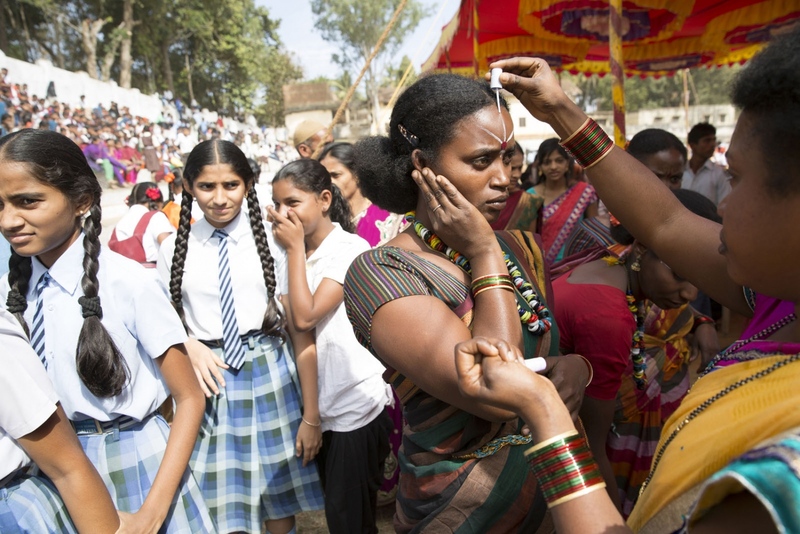 Held once a year Urs is the most important celebration to Gujarati Sidi's. Bedi, India. 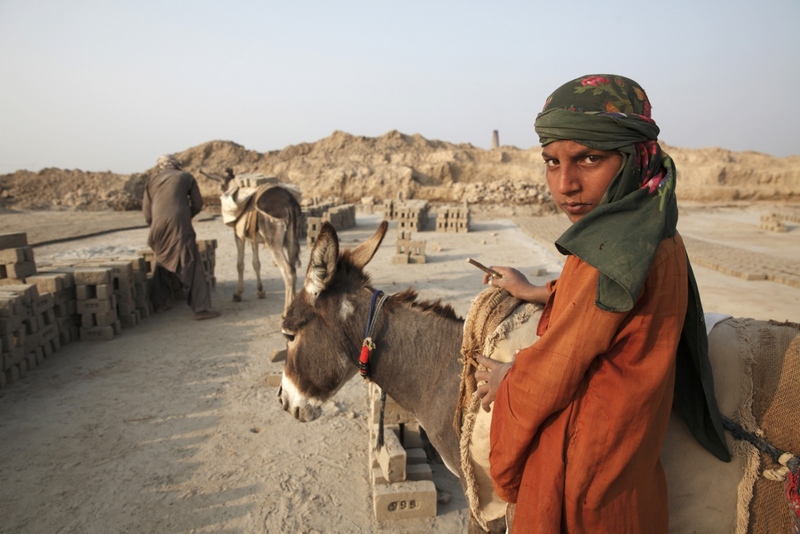 A salt worker holds a large slab of salt she pulled up from the bottom of her pan. Katwe, Uganda. Thai workers pull tuna into nets in the hold, where the temperature is minus 22 degrees Celsius. 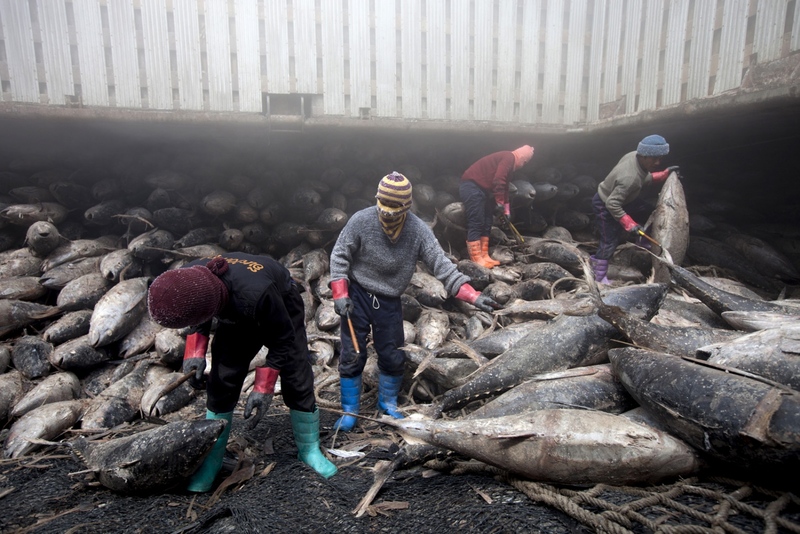 The large ship is docked just outside Bangkok and will spend one week unloading hundres of tonnes of tuna. Each frozen skipjack carcass weighs about 40 kilograms (88 pounds); one ton of skipjack fetches about $1,600 on the wholesale market. Angkhana Neelaphaijit in her office at the National Human Rights Commission of Thailand in Bangkok. 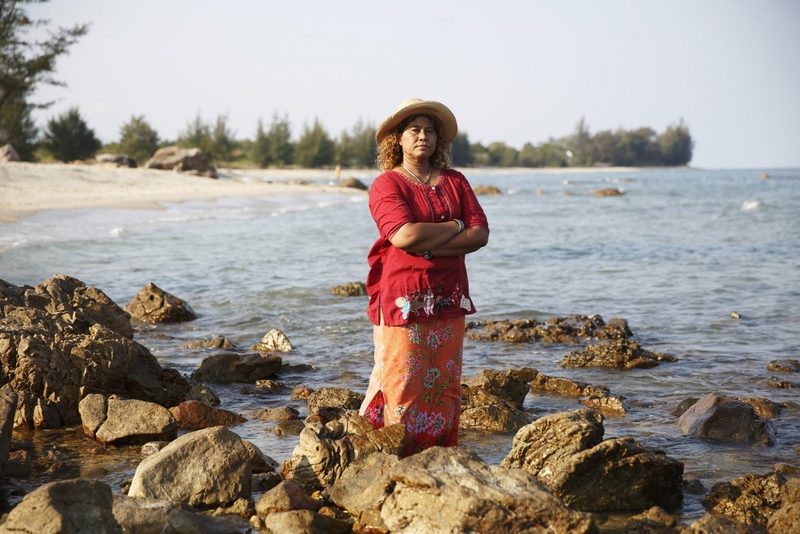 She is a Thai human rights activist, lawyer, Commissioner of the Thai Human Rights Commission and the wife of disappeared human rights lawyer Somchai Neelaphaijit. In March 2004 her husband was abducted by five policemen in central Bangkok and never seen again whilst he was defending a group men from the South of Thailand who were arrested on terrorism charges and claimed they were tortured in police custody. Bangkok, Thailand. 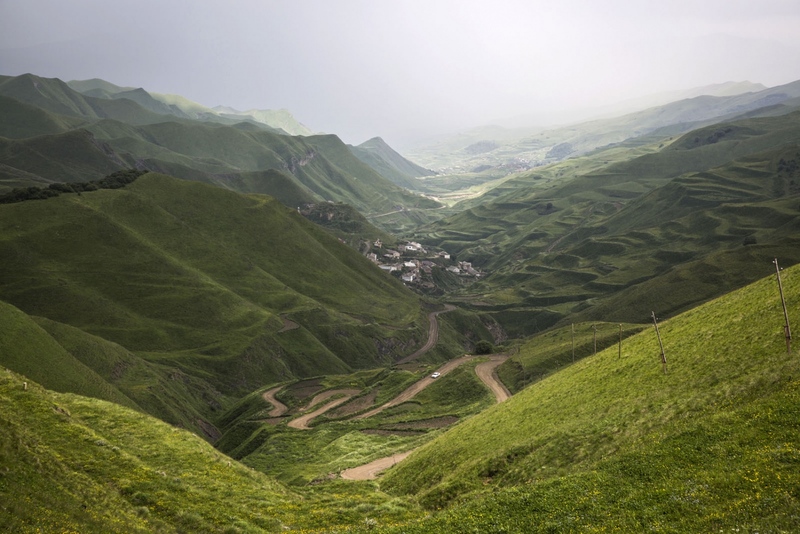 A remote twisty road winds its way through the green hills as rain approaches in the little known Republic of Dagestan, Russia. 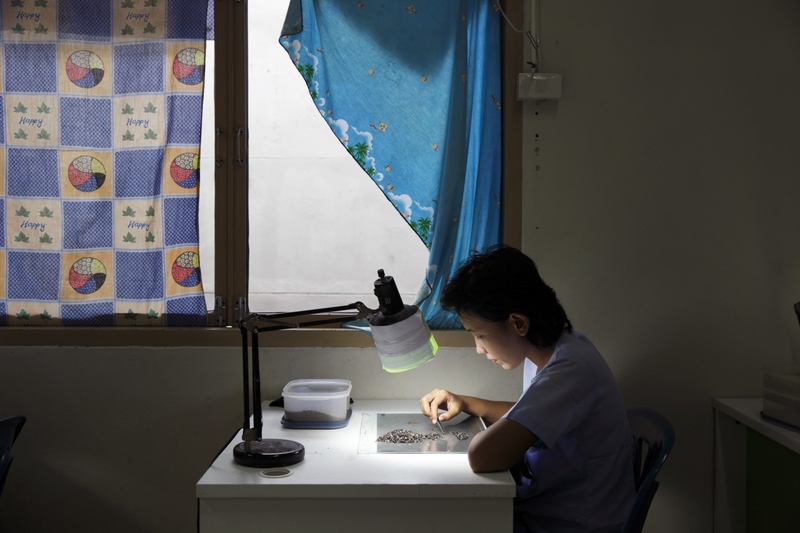 In Chanthaburi Prison women prisoners cut and polish sapphires for a Thai company based in the town. The prisoners, who receive a small wage, can learn this skill so when they are released they can look for work in the industry. Thailand. 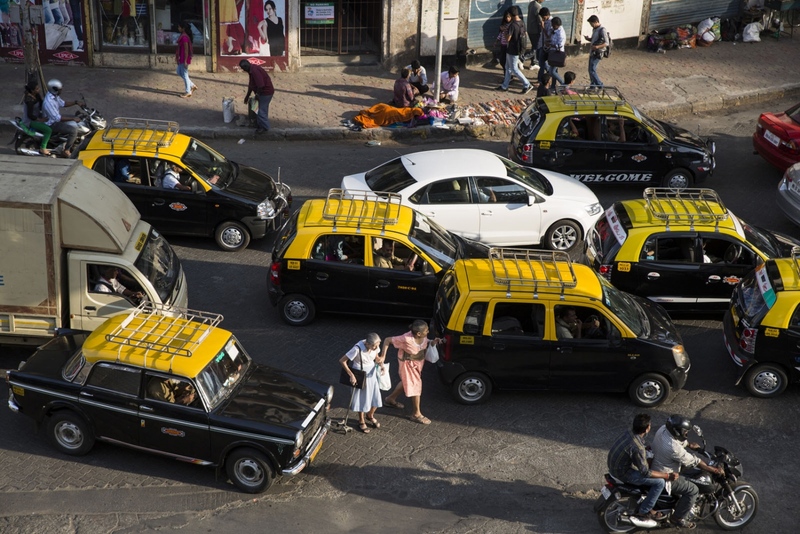 Two elderly women, one with a walking stick, navigate a busy road in an attempt to get a taxi in Central Mumbai, India. A monkey recently killed with a poisoned dart is divided up between all the family members of this small clan. Pattalung, Thailand. 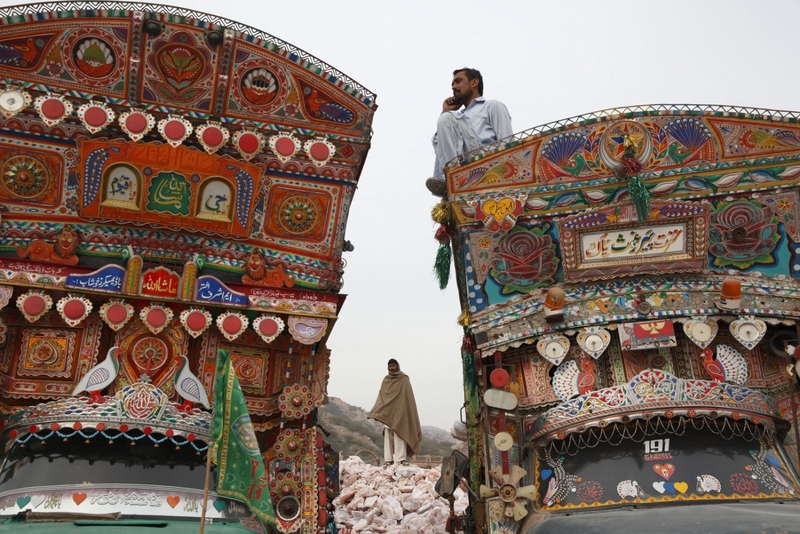 Trucks ready to transport the pink rock salt at the Warcha salt mine in Pakistan. 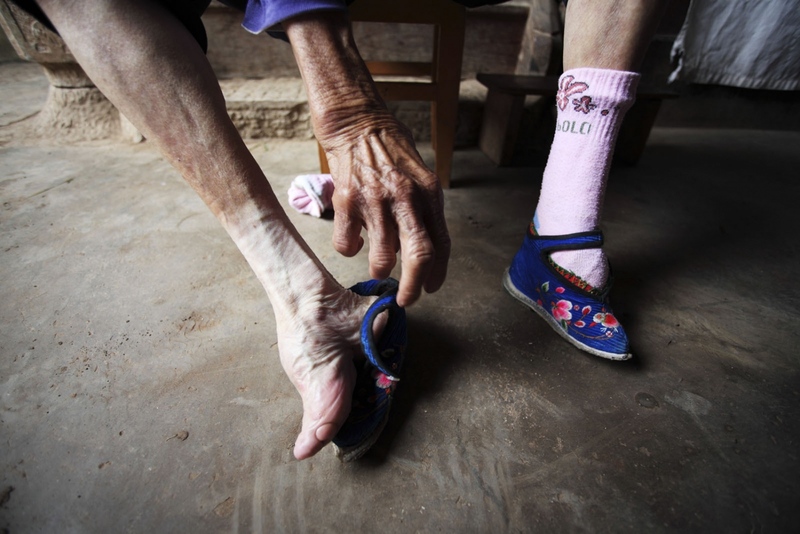 An old lady takes off her shoes exposing her tiny bound 'lotus' foot. 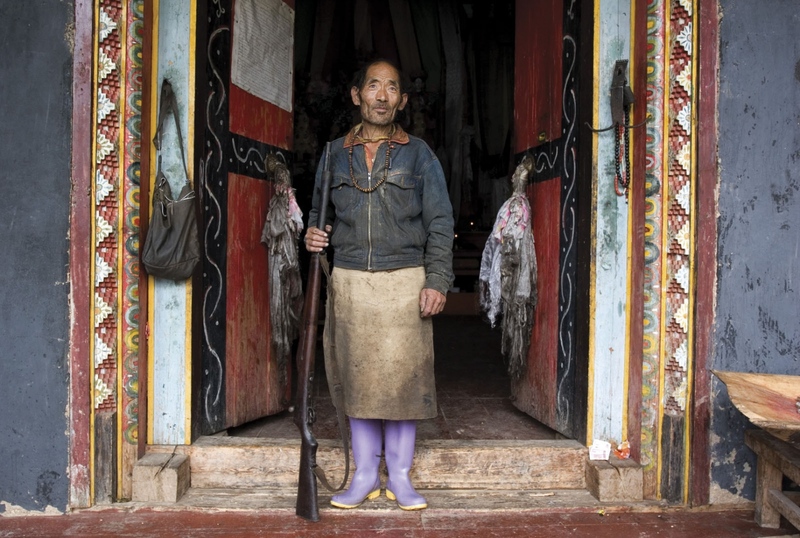 In a remote part of the province several villages still have the last remaining women who still have bound feet. Now very old, they are the last reminder of this ancient Chinese traditional. Yunnan Province, China. 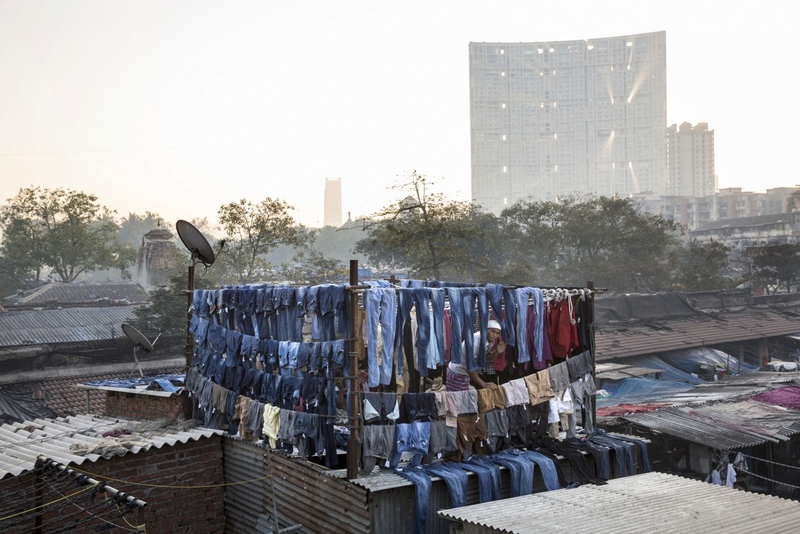 Clothes are hung to dry in Dhobi Ghats which everyday washes, rinses, dry's and irons thousands of pieces of clothes for people living in Mumbai, India. 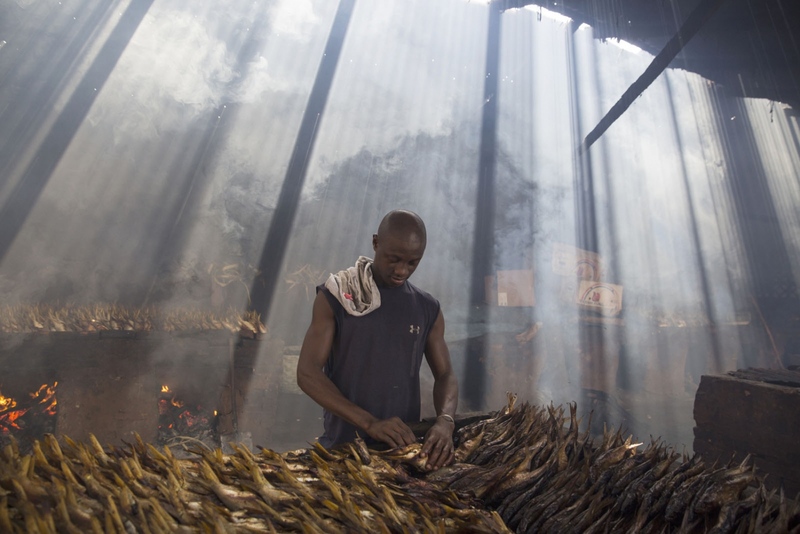 Behind Gambia's largest fish market at Tanji is a collection of fish smoking buildings. For centuries fish have been smoked here and either sold domestically or exported to other parts of North Africa, particularly Nigeria. 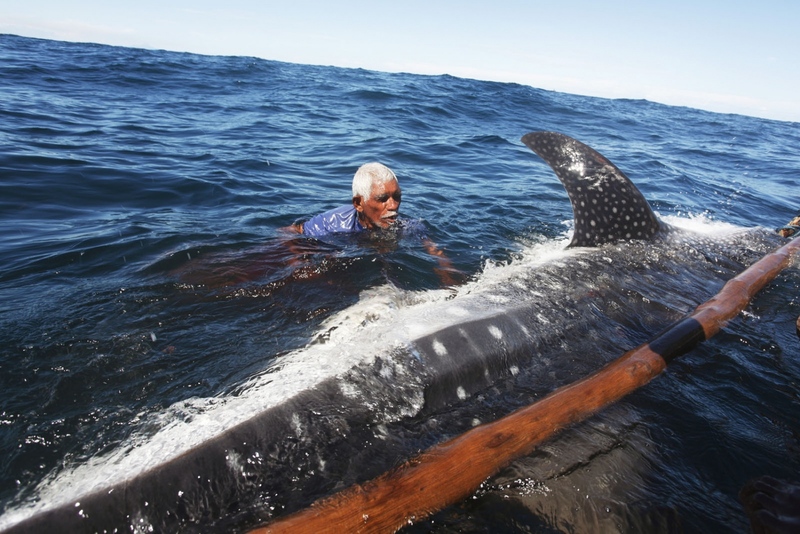 Caught in the Atlantic, the fish are smoked for days after which they can be kept without refrigeration for months. Tanji, The Gambia. Janya Ruangthong, 36, originally from neighbouring Krabi province prays in her house. Her family is one of five Muslim familes living in Klong Sai Pattana. Surwat Thani, Thailand. 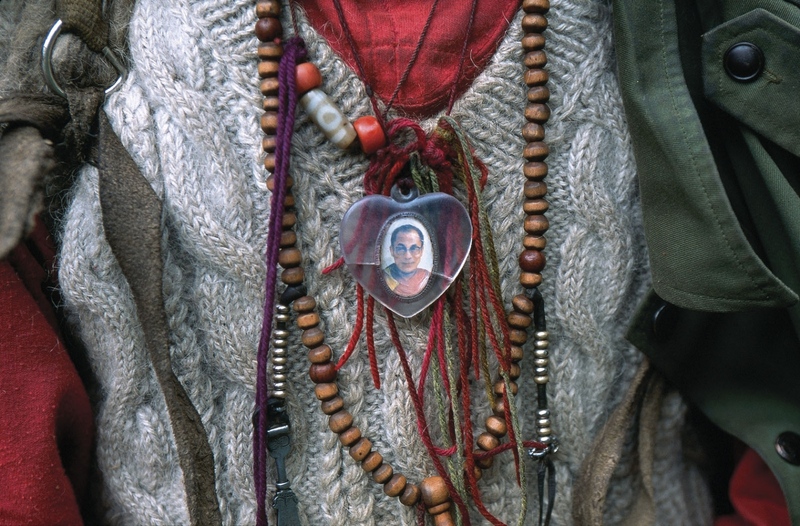 A Tibetan pilgrim wears a pendant of the Dalai Lama during a pilgrimage to a remote sacred mountain. Yunnan Province, China. 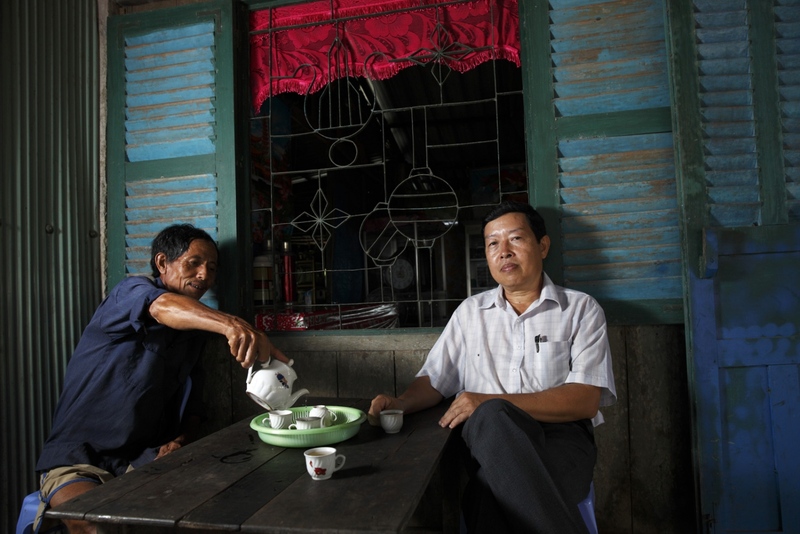 Dr Duong Van Ni of Can Tho University drinks tea with a farmer at his house. 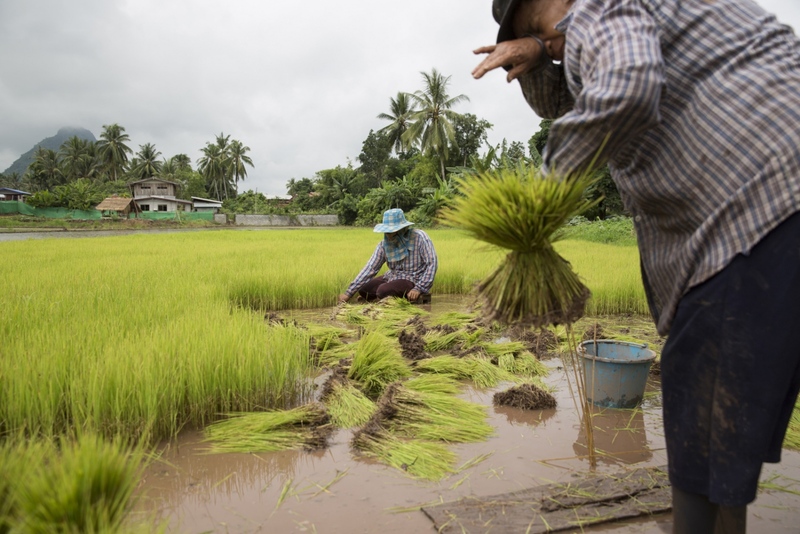 Dr Ni's research aims to help Vietnamese rice farmers in the Mekong Delta who's rice paddies suffer from an increased water salinity brought on by rising water levels. Mekong Delta, Vietnam. 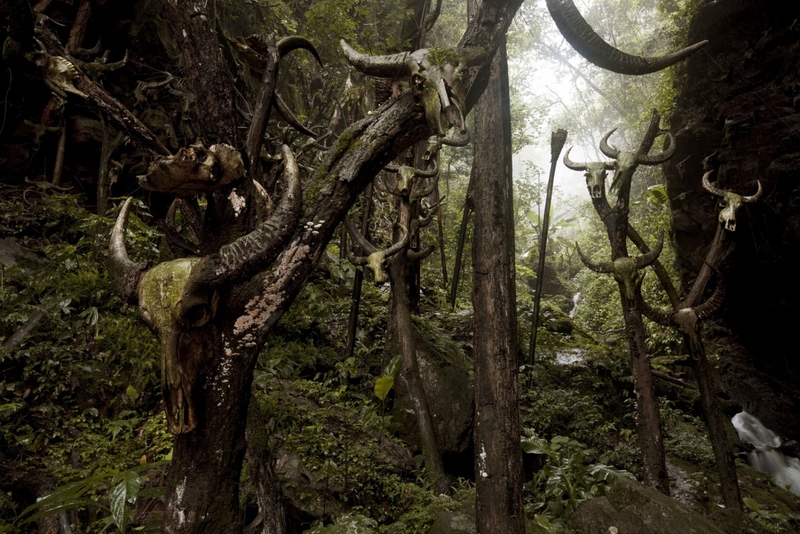 A sacred burial ground of the Wa.The Wa were traditionally a warrior tribe of head hunters who placed the heads of their victims on spikes throughout their territory to scare their enemies. 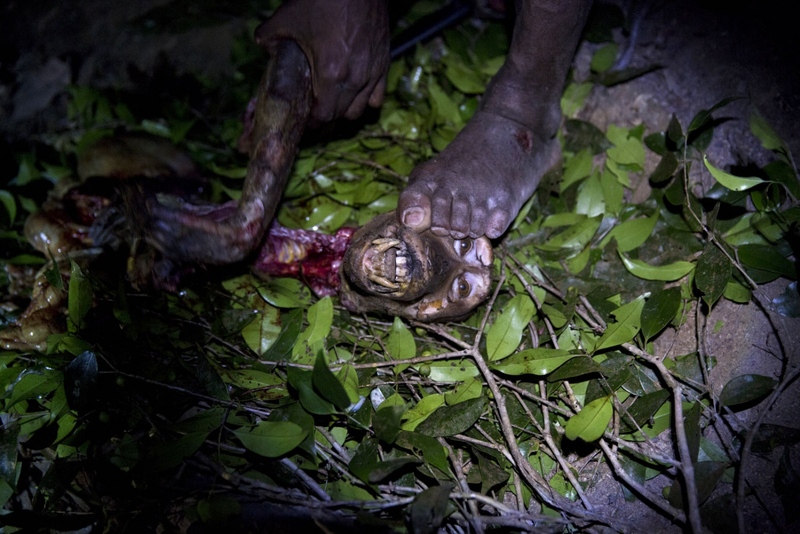 Having ceased head hunting several decades ago, their practise changed to worshipping ox skulls which every year is celebrated by the sacrifice of an ox, the skull of which is hung in this sacred burial ground. Ximeng, China. 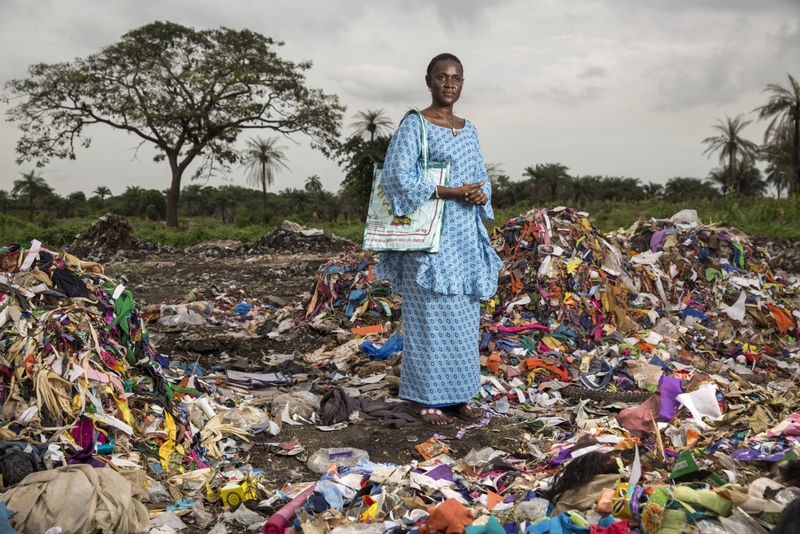 Isatou Ceesay stands at a waste dump in the town of Birkama. Mrs Ceesay founded the Women's Initiative Gambia in 1997. 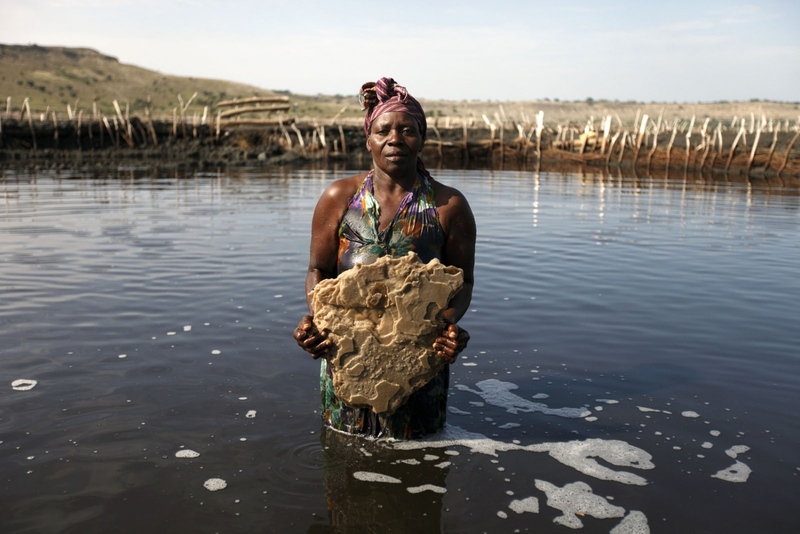 The organisation works with communities across the tiny west African state to address not only the environmental impact of unregulated waste disposal, particularly plastic, but also the empowerment of women in the make dominated society. Over one hundred women are now involved in Isatou's project. The Gambia. 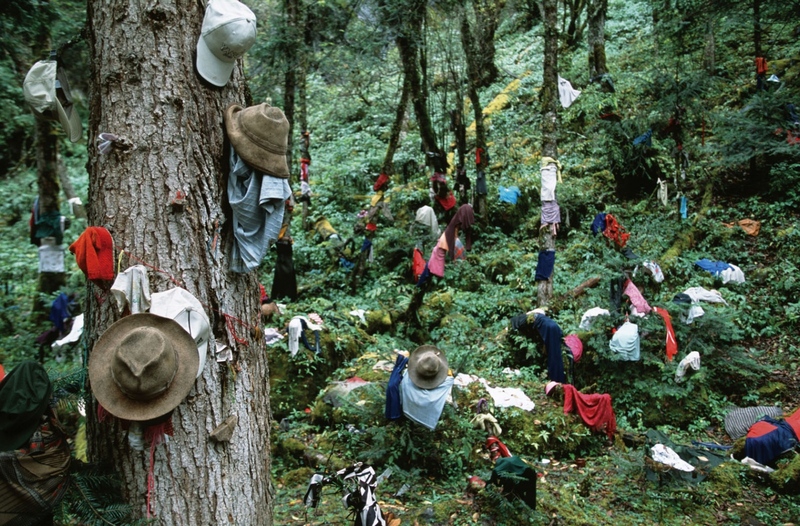 Maniq children play in the trees at one of their temporary settlements. Satun, Thailand. 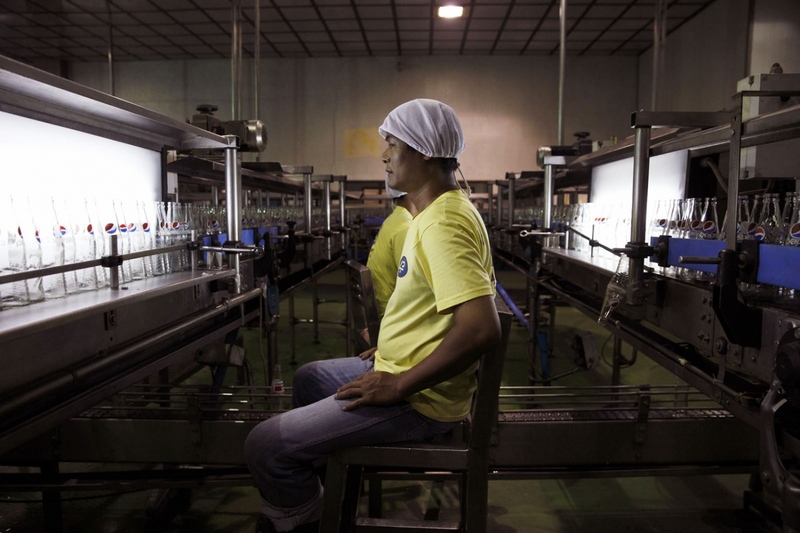 An employee of PepsiCo checks the quality of glass Pepsi bottles at a manufacturing plant on the outskirts of Manila, Philippines. 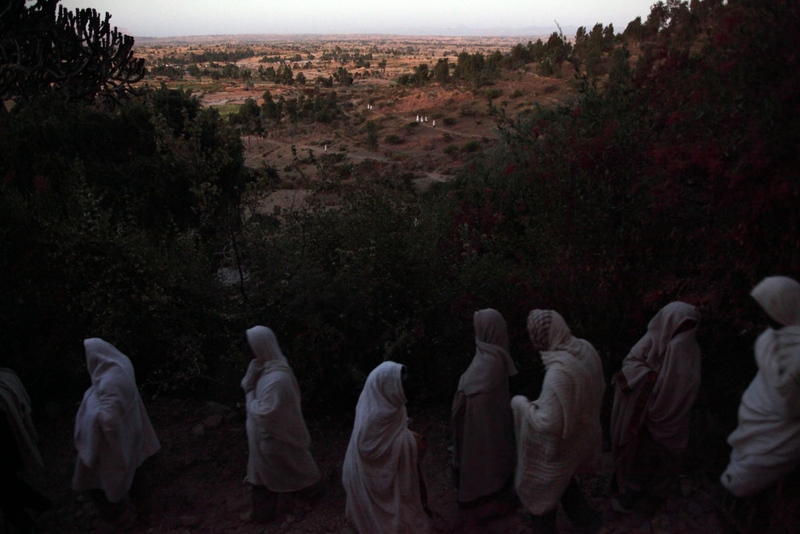 Ethiopian Orthodox Chirtsians arrive at dawn for a religious ceremony. Wukro, Tigray, Ethiopia. 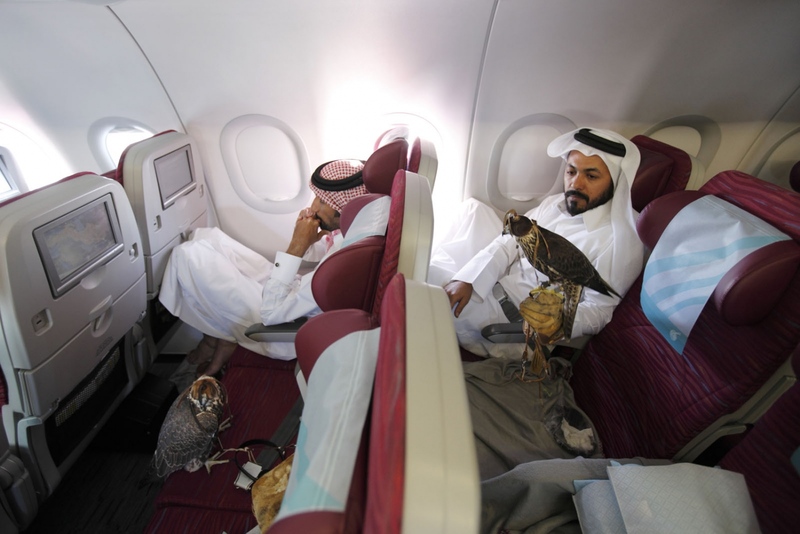 Men from Qatar who practise the art of falconry sit with their birds in the economy section of the plane after flying from Azerbaijan to Qatar. Rice farmers in the village of na Nong Bong harvest rice. 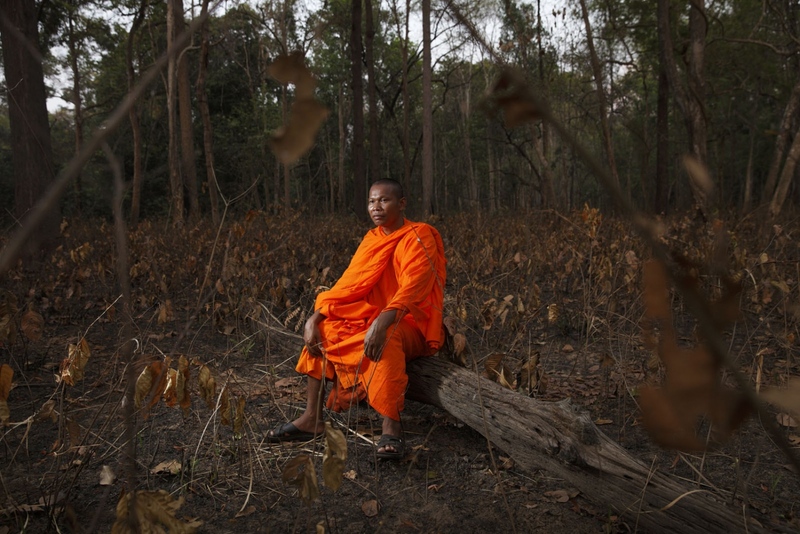 One of the complaints by the villages was that the gold mine was responsible for poisoning certain rice fields and water sources due to waste run-off that is full of contaminants such as arsenic and cyanide. Na Nong Bong, Loei. 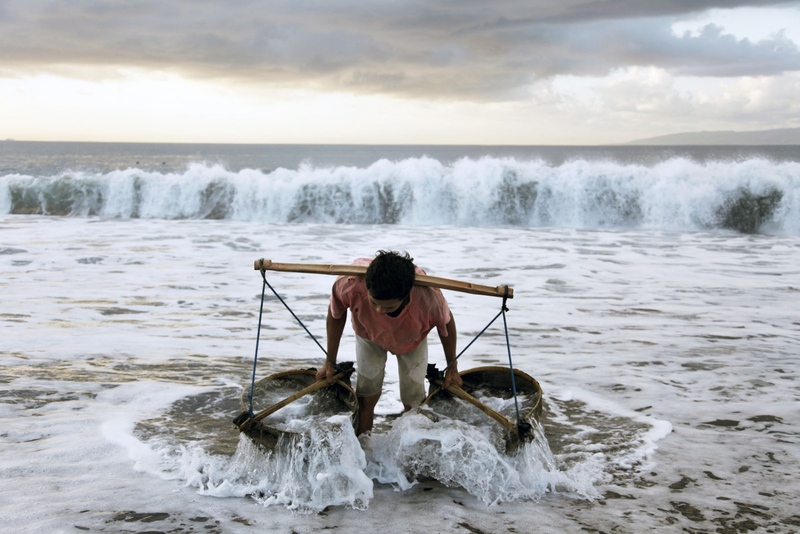 A man collects sea water at dawn to spray on to his salt fields in the Northeast of Bali Island in Indonesia. 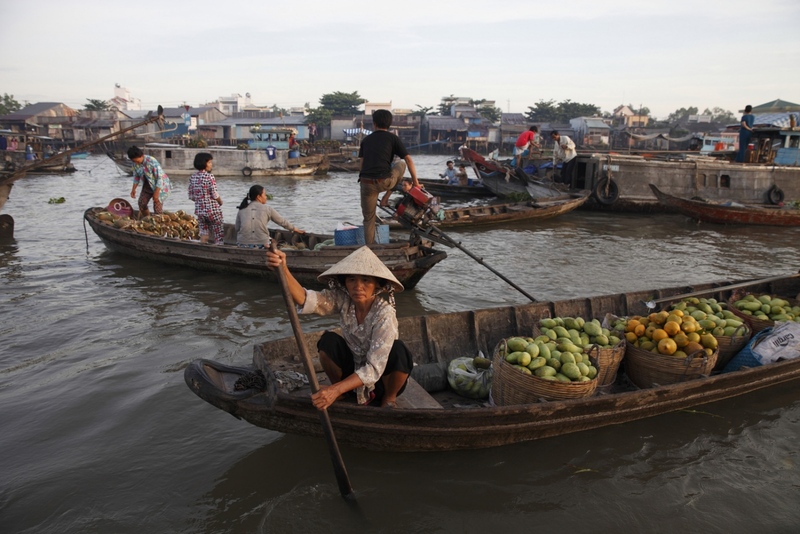 Can Tho city, on the H?u River, the biggest branch of the Mekong River in the Mekong Delta, is the daily Cai Rang floating market. Beginning before dawn the market is the largest and main wholesale fruit and wegetable market in the region.Can Tho, Vietnam. Panint Jhonlerkieat sits on the top floor of his penthouse condominium at The Pano in Bangkok. 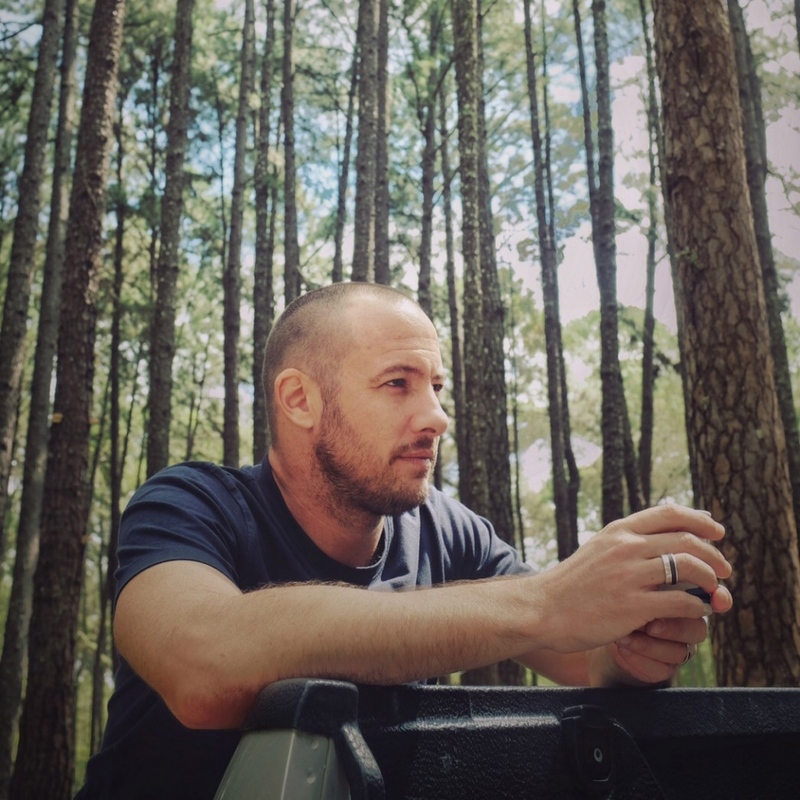 A self-made millionaire who is the Managing Director and Co-founder of Aim Star Network bought his triplex home for a massive $3.75 million. Bangkok, Thailand. 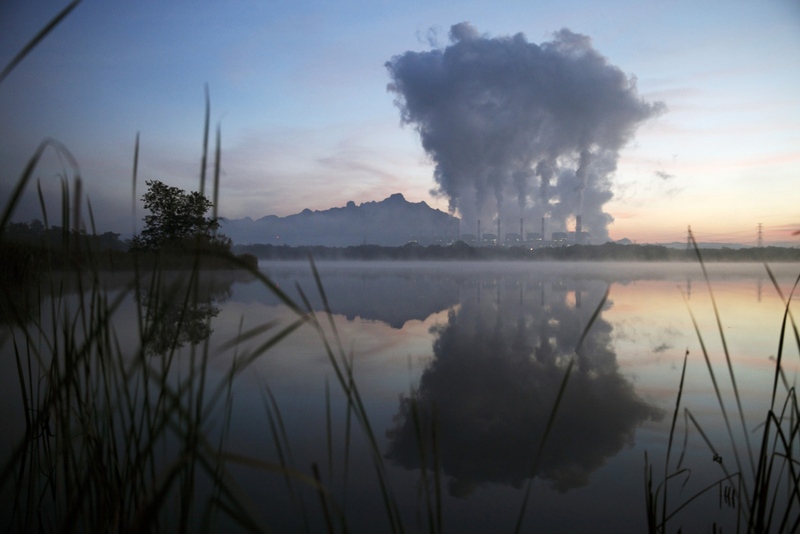 Mae Moh coal burning power plant releasing smoke from its stacks at dawn. The power plant turns off most of its the smoke in the daytime then starts again at night. Lampang, Thailand. A trawler fising boat captain steers his boat at sea at dawn. Rayong, Thailand. 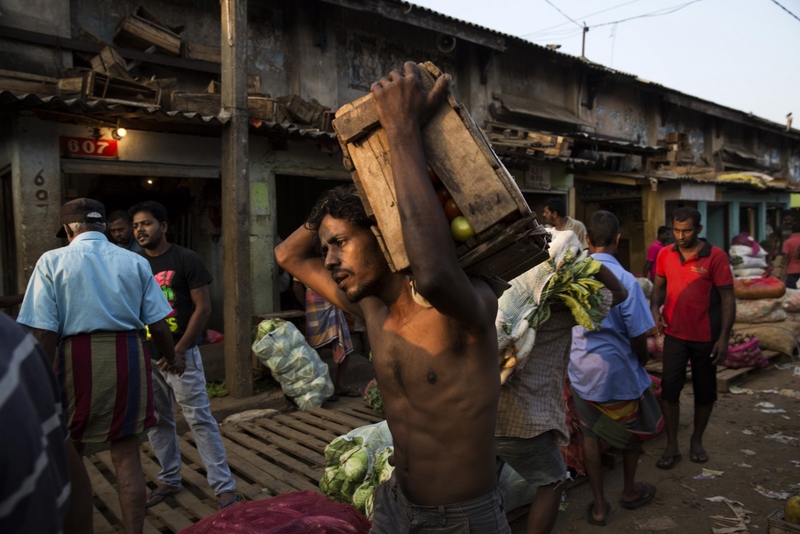 Early morning activities at Manning wholesale fruit and vegetable market in Central Colombo. Manning market has been at this location for over one hundred years with most stalls passed down hereditary lines. Colombo, Sri Lanka. 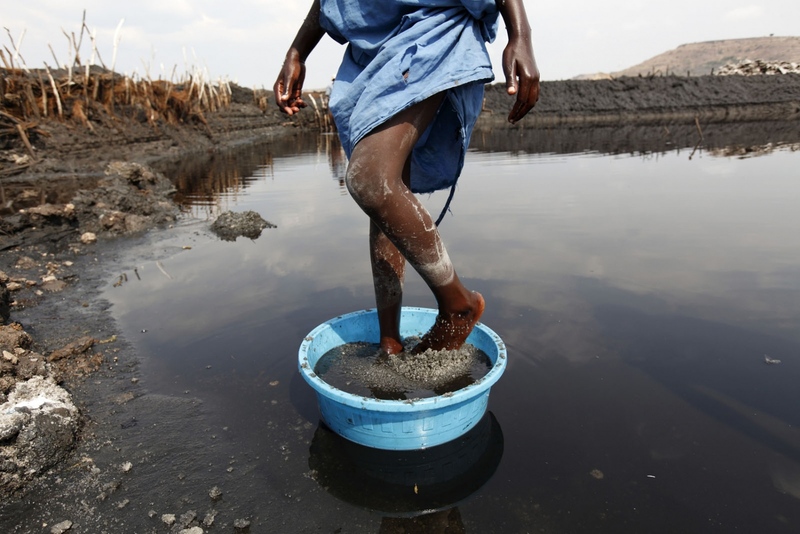 A girl grinds salt with her feet in one of the salt pans of Lake Katwe in Western Uganda. 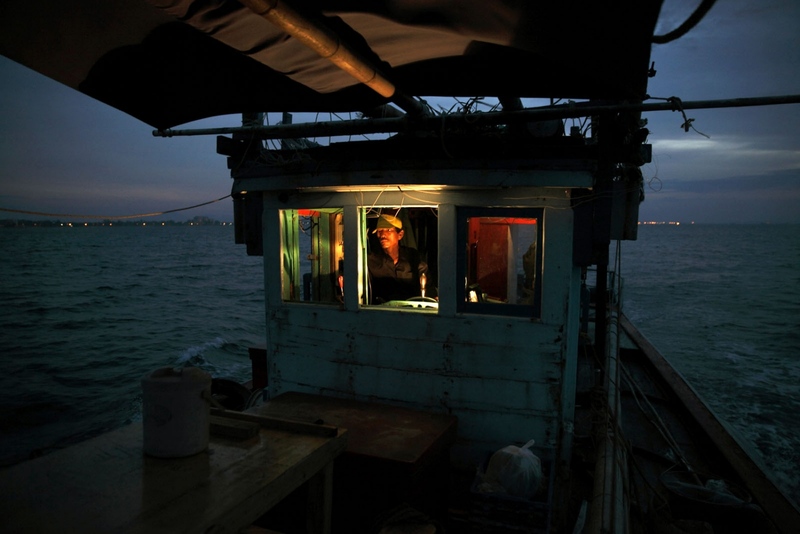 Burmese fishermen working all night on a Thai trawler boat off the coast of Phuket. 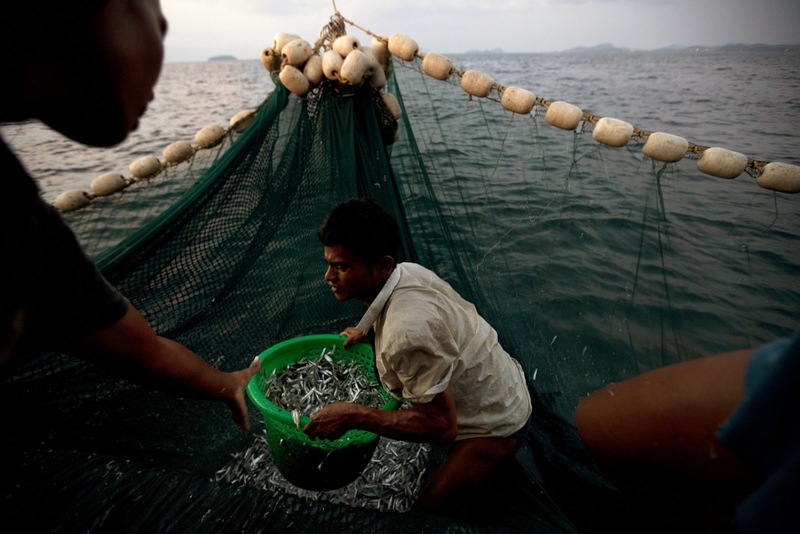 Thailand is the third largest exporter of fish in the world after China and the US. Its fishing fleet is vast, but years of unregulated trawling has causes incredible damage to fish stocks. Most fishing is done at night when tralwers, varying in size, leave for the darkness of the sea returning in the morning with their catch that in many cases has more than halved in recent years. Phuket, Thailand. 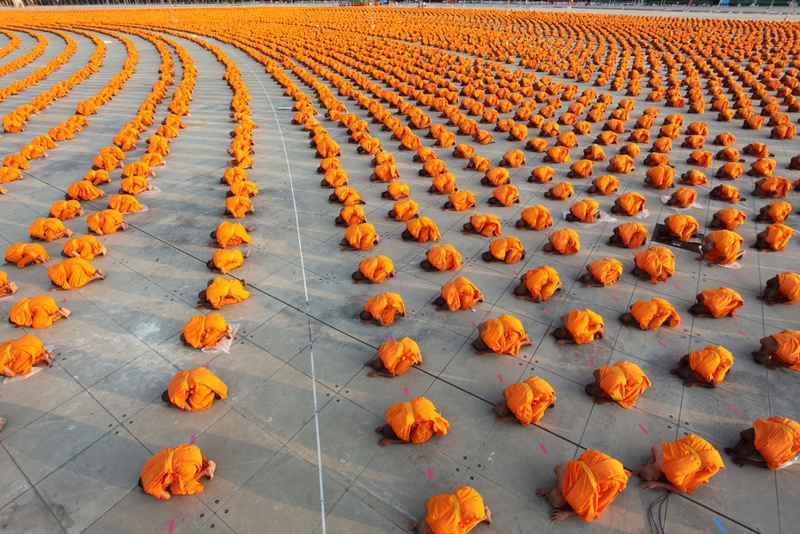 At a Thai Buddist temple called Wat Phra Dhammakaya a mass ordination of 34,000 monks takes places. 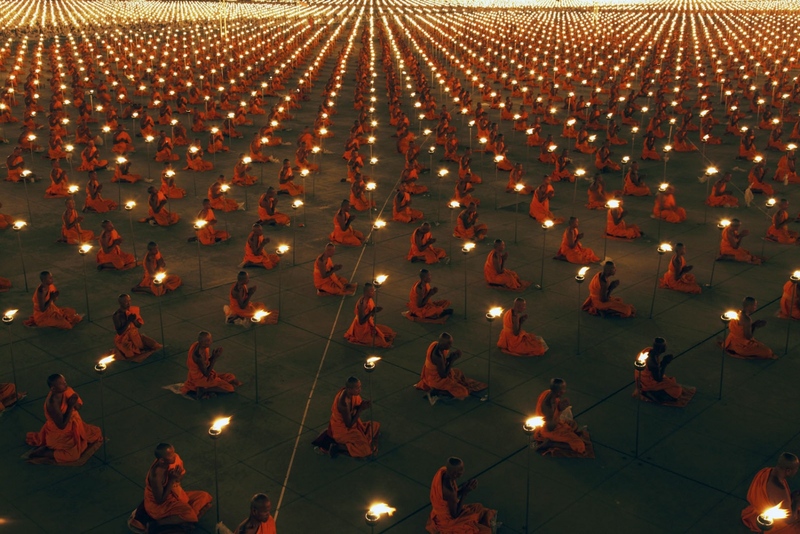 Performed at an elaborate ceremony for which the temple is renowned, the men come from all over the country to become monks. Bangkok, Thailand. 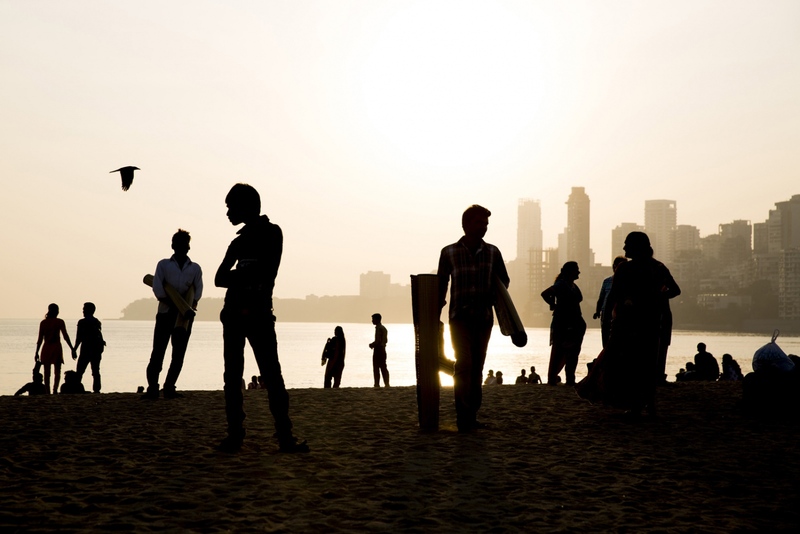 People enjoy Mumbai's most popular public beach in the late afternoon. Called Chowpatty beach many advise against swimming in the water here which is said to be heavily polluted. But this doesn't stop people enjoying the sand. India.